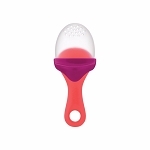 Squirt Baby Food Dispensing Spoon - Pink | Boon Offers Innovative Products to Make Everyday Tasks Easier for Parents! Genius. (There. We said it.) Squirt isn't just a spoon; it's a revelation. 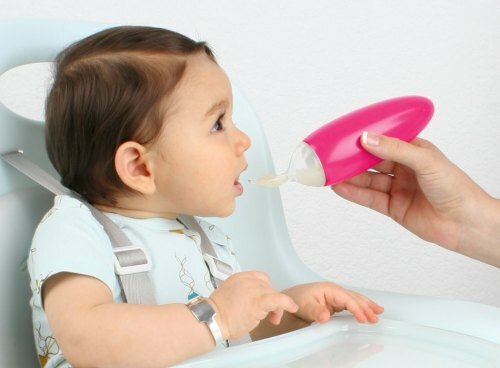 It takes baby food, removes the jar and the mess, packs it into a single utensil and with one squeeze boom! You get easy, one-handed feeding. Pop on the cap to seal food on-the-go. Caution: May cause gobbling and an uncontrollable appreciation for anything delicious.